Sheffield celebrates the outdoors this weekend as Cliffhanger returns to the city for 2018. It’s going to be another weekend packed full of free events and activities spreading wide across the city, so you’re gonna want something to keep you going, right? Read on to see all the places offering exclusive deals across the Cliffhanger weekend. As we’re all about keeping things lively once 5pm hits, all offers will only be valid from 5pm (on Friday 6, Saturday 7 and Sunday 8 July only). Just one of the city’s hottest spots for proper good pizza, if you reference Cliffhanger when you arrive at Bloo88 you’ll get yourself a 12” pizza and a cocktail all for £10! Sweet! To book, head to www.bloo88.com or call 0114 270 6264. Grab a table at Browns and overlook the Peace Gardens as it glows in the evening sun this Cliffhanger weekend. On Saturday it’ll be offering fresh fish specials as well as a Chateaubriand sharer for two for £49.95. On Sunday it’ll be serving up roasts all day – smashing. Fancy it? Click here, or call 0114 276 6710. Saunter on down to Craft & Dough on Campo Lane over the Cliffhanger weekend and enjoy two pizzas and bottomless fizz for two for £25 between 12 and 7pm on Friday and Saturday! Saving up to a whopping 60% on your bill, this offer is one not to miss. To enjoy fresh artisan pizza with 90-minutes of bottomless prosecco, you’ll need to book using this link. Simply select the ‘Bottomless Fizz & Pizza Deal’ when booking and bring your voucher code along on the night. Happy Cliffhanger weekend indeed! Did you know that GBK on The Moor does a set menu which includes a burger, fries and a drink all for just £9.95? Grab a classic beef burger with some skin-on chunky fries and sip on a strawberry and elderflower cooler without spending more than a tenner. Nice one. Get 30% off your food bill at OHM! 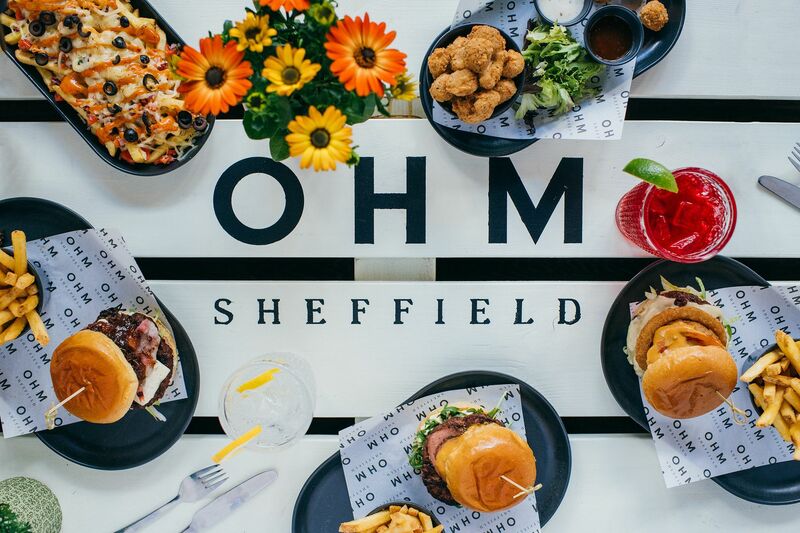 OHM has your back if you’re after your staple summer nosh: pizzas, wings, burgers, salads – you name it. Mention Cliffhanger when you arrive and you’ll receive 30% off your food bill (excluding any other offers)! Fill in your details here to receive £20 to spend on your Piccolino loyalty card over the Cliffhanger weekend. You’ll be emailed a reference number which you’ll need to use to collect your loyalty card pre-loaded with £20, and that’s all there is to it – enjoy some of Sheffield’s finest Mediterranean cuisine for less! Fancy some ramen? 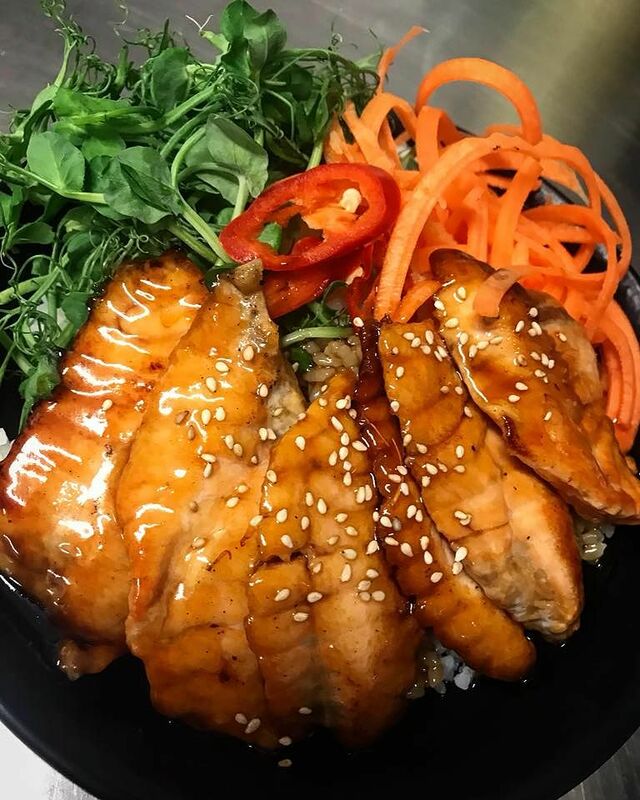 Get yourself over to Sakushi on Campo Lane to satisfy your sushi/bento/noodles cravings over the weekend. To celebrate The Outdoor City, Sakushi is offering 50% off your food bill when you quote ‘CLIFFHANGERAFTER5’. What more is there to love? It's half price food at Sakushi this Cliffhanger weekend! Nestled in the haven that is Leopold Square, you’ll find The Botanist serving up inventive cocktails alongside some mouth-watering grub, not to mention in an enchanting botanical setting. For this weekend only, it’s offering anyone who quotes ‘Cliffhanger’, be that in person, or over the phone, a 1/3 off their food bill, making the 6-8 July a weekend to remember! Call 0114 273 7855 or click here to book your table. (Offer available 5-7pm Friday- Saturday, all day Sunday). Sheffield's staple sports bar, The Common Room, is offering a series of discounted drinks offers as part of its 'Common Hour' from 5pm until 8pm. On Friday and from 6pm on Sunday, you'll be able to enjoy True North Cask ales, Amstel or Symonds Cider for £2.75, Sol or Heineken bottles for £2.50 or even a bottle of prosecco for £17.50. All cocktails are £2 cheaper and cocktail pitchers will be £10.50. 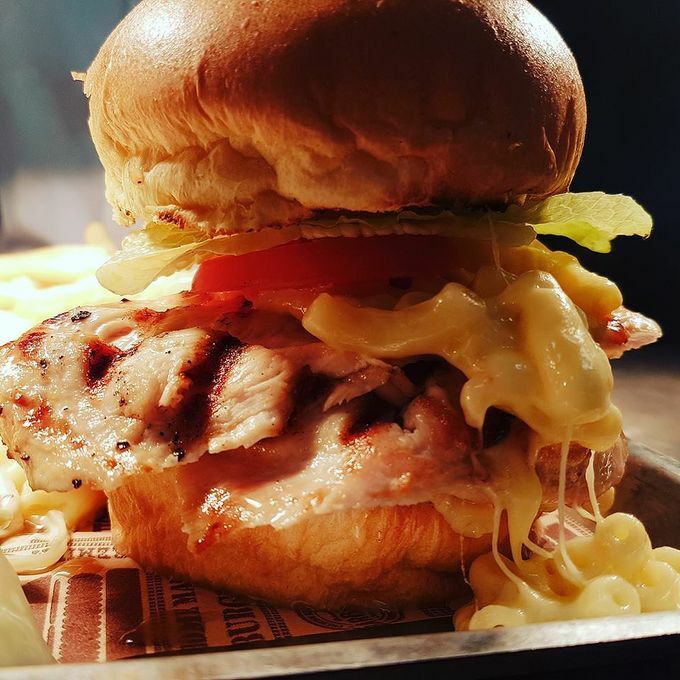 If this wasn't enough, you'll also receive 20% off your food bill (valid all weekend) if you say you've been to Cliffhanger! Result! One of the city’s most central breweries, True North will be opening its doors throughout Cliffhanger from 5pm on Friday. With a wide selection of beers, pizza and prosecco available from Forum Kitchen & Bar, kick back and enjoy The Outdoor City buzz! Check out the Facebook event for more! Fill your boots at Unit over the weekend. Offering customers a burger, fries and drink for just £10, all you need to do is quote '#CLIFFHANGERAFTER5' when you're ordering or booking a table. Food and drink included in this deal are as follows: Cheeseburger, Cheese Chicken, Falafel burger, The American, North vs South. Drinks: Coke, Coke Zero, Diet Coke, Sprite, Fanta and Volvic water. Free Wrapchips with every pint of Cobra at Wrapchic! Indian street food in a Mexican format, find Wrapchic right on the edge of the action on Devonshire Green. 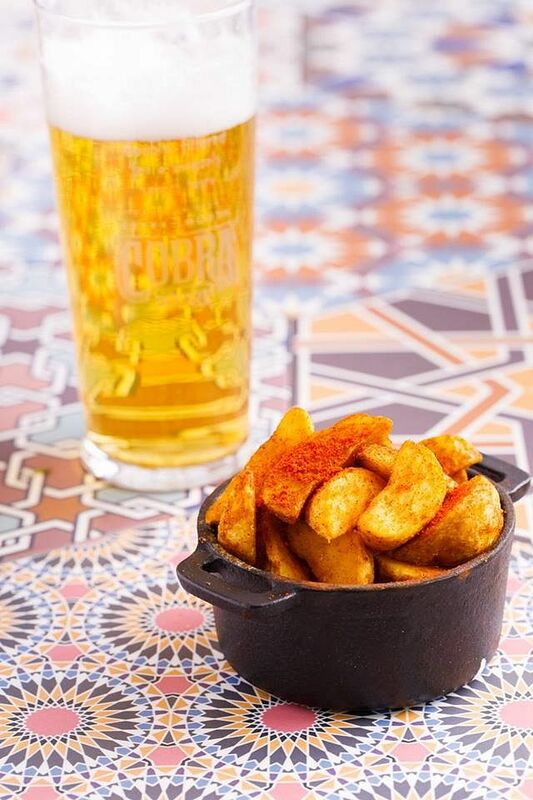 This weekend only, get a free portion of Wrapchips (potato wedges) with every pint of Cobra Beer as well as 10% off your food! (Excludes any other promotions/offers) All you’ve gotta do is quote 'CLIFFHANGERAFTER5' at the till - simple. To find out more on what’s happening over the Cliffhanger weekend, head to http://www.theoutdoorcity.co.uk/cliffhanger/, where you’ll find the run-down of events running over the three days. Be sure to use #CliffhangerAfter5 when eating out this weekend – we’d love to see where to end up for tea!